The rental market overall remains sluggish with asking rents showing rises of just 1.2% to 1.7% at the average capital city level. 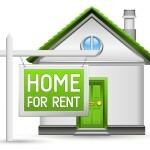 Perth rents have dragged down the overall result. It’s quite clear rents in Western Australia are falling quickly. Given our view that vacancy rates are likely to rise from these levels we are expecting a soft rental market for quite some time and certainly, well into 2015. Figures released by SQM Research this week have revealed that the number of residential vacancies nationally decreased very slightly during July, recording a stable vacancy rate of 2.3% nationally, and 67,190 vacancies. This result is indicative of the longer term trend of higher vacancy levels around the country, despite a minor dip in listings in absolute terms. Higher vacancies of course, allude to an increase of supply in the rental market, shifting the balance of power from landlords to tenants. The expectations of landlords remain sluggish on a national level, with Asking Rents failing to reveal a substantial increase when compared to the same period in 2013. Nationally, vacancies remained reasonably steady during July, recording a vacancy rate of 2.3% and coming to a total of 67,190 nationally. Darwin has recorded the tightest vacancy rate of the capital cities, revealing a vacancy rate of 1.4% and a total of 377 vacancies. Perth has recorded the highest yearly increase in vacancies, climbing by 0.9 of a percentage point to 2.5% since the corresponding period of the previous year (July 2013) and coming to a total of 4,818 vacancies. Hobart recorded the largest yearly decrease in vacancies, falling by 0.6 percentage points to 1.7% since the corresponding period of the previous year (July 2013). No capital cities’ vacancy rates increased on a monthly basis but Perth remained unchanged at 2.6%. Canberra and Darwin both recorded the largest monthly decline in vacancy rates, dropping by 0.2 of a percentage point to 2.1% and 1.4% respectively during July 2014. Each capital city continues to tell its own unique story, with Perth and Darwin’s vacancies soaring since this month in 2013, and Hobart’s dropping substantially over the same period. Sydney has remained steady, revealing no yearly change and similarly, Melbourne has recorded a vacancy rate of 2.6% – identical to its July 2013 vacancy rate. 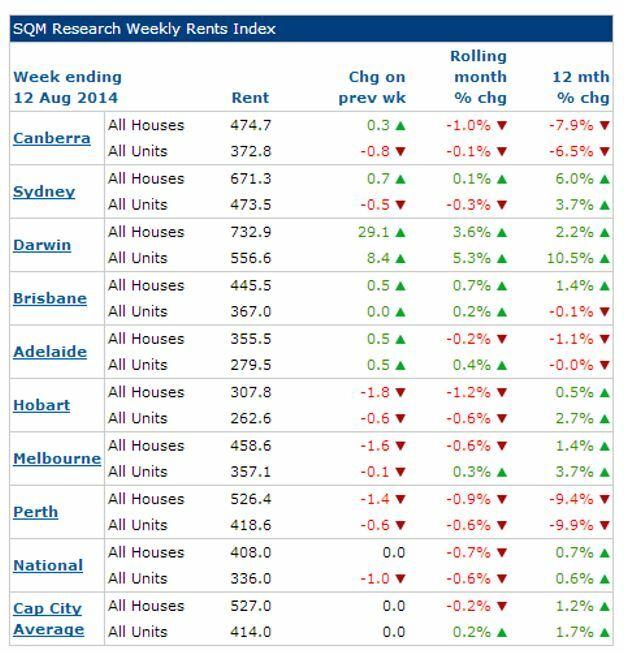 These steady figures are in line with the sentiment of landlords over the past year, with SQM Research’s Asking Rents Index revealing that rental asking prices have only lifted by 0.7% for houses on a national level and 0.6% for units on a national level since the same week in 2013. 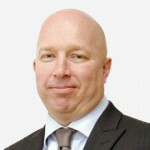 This reveals that the expectation of landlords has stagnated on a national level, with Darwin and Sydney being the only two capital cities to record substantial increases in asking rents since this time last year, and Perth and Canberra both recording considerable decreases during the same period.